It’s DAY 9 of our amazing MALARAE 12 DAYS OF GIVEAWAYS and it’s a big one… we are so grateful to be partnering with PRANASHANTI YOGA CENTRE to give you a ONE MONTH UNLIMITED YOGA PASS + 60 MINUTE MASSAGE! (value $225) Yes, you read that right! It’s beyond amazing!! BONUS+++: We’re adding the MALARAE LOVE BRACELET to today’s giveaway (value $35). PranaShanti Yoga Studio is an absolute oasis in the heart of Hintonburg, Ottawa. As soon as you step in the doors, you leave behind the stresses and chaos of your day. With a vast variety of classes, led by experienced and knowledgeable teacher, PranaShanti Yoga Studio is literally for ANYONE. The Director, Devinder Kaur, is the kindest soul who truly embodies the energy of her studio. Other services offered at PranaShanti include massage therapy, infrared sauna, naturopathic medicine, acupuncture, reflexology, Ayurveda and more. 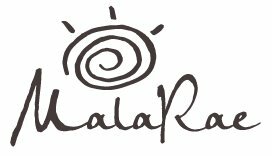 There is also a beautiful boutique for all your yogi needs, including MalaRae malas and you can often find our mala workshops on their calendar of events. You will have one chance to win this epic prize (One-month unlimited yoga from PranaShanti & a 60-minute massage + MalaRae Love Bracelet). The winner will be announced on the 13th of December. You have until then to submit any & all entries. BONUS: Let us know if you’ve ever been to PranaShanti Yoga Centre and if so, what do you love about it!? OPTIONAL EXTRA ENTRIES - here are some additional optional ways to enter today’s giveaway. The more entries you have, the better your odds! Good luck! Day 9 giveaway contest runs until midnight EST December 12th, 2017. Winner will be announced on December 13th, 2017 via the MalaRae blog. Ashley Notley is an Ottawa wedding and lifestyle photographer, whose aim is to capture her subjects’ real personalities, while making it fun to be photographed. A graduate from the Vancouver Institute of Media Arts, Ashley has been photographing weddings and all things people since returning from her studies in 2011. She is also a yoga teacher, a wife and a mother to her pretty adorable little man, Smith. Never been to PranaShanti but looks like a welcoming place with a great variety of yoga classes and services. I have never been but I hear wonderful things. I love the authentic name. Seems like a wonderful place to get rid of any winter blues. A yoga pass and a massage from PranaShanti sound wonderful! Plus a MalaRae bracelet, what a perfect remedy to find relaxation! Yoga and massage… my two favourite things! Pure bliss! Yoga massage and a beautiful Malarae bracelet – the perfect combo!! I am currently pregnant and aching all over. A massage would be amazing! Member at Prana Shanti so if you want to try a class I recommend Kathryn Flynn’s class. Happy place. I’ve been before and loved it… Would love to to back! I love PranaShanti! I’ve been to a few classes there and it’s always so peaceful and healing.